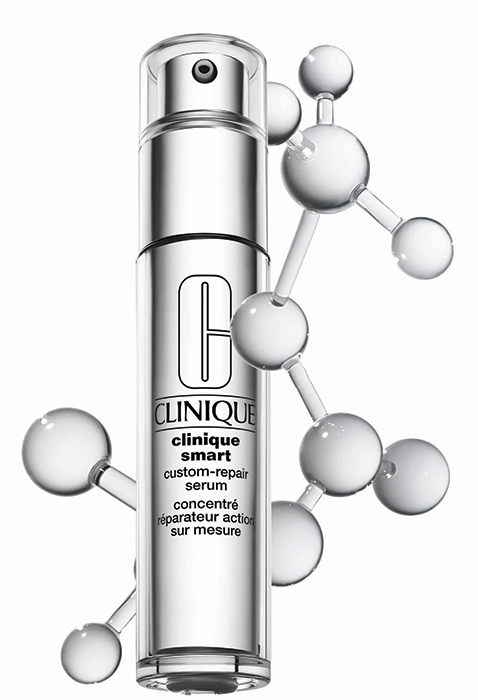 A serum smarter then I am - Clinique Smart Custom-Repair Serum! Clinique Smart Custom-Repair Serum - 30ml - $69, 50ml - $99 - delivers targeted repair that visibly addresses skin's changing needs with a formula that uses precision repair technology to repair the damage you see and even the damage you don't. How Clinique explains their clever little formula is that damaged skin sends out distress signals - the serum understands these signals and delivers the appropriate ingredients to start visibly correcting the damage, if ingredients aren't needed for a specific concern, they remain on call - I imagine it as if they have one of those pagers that you get at restaurants that tell you when your table is ready, so if your face lights ups and starts buzzing not to worry, that's just damaged skin (I totally just made that up, your skin is not going to light up or buzz - but damn it would be cool)! Sustains hydration and suppleness with hyaluronic acid, barley extract, wheat germ extract and cucumber extract to maintain skin's moisture levels throughout the day. If you're thinking now "oooooo that sounds good, I want me some of that" you can have it! - it's meant for all skin types, ages and ethnicities, is allergy tested and 100% fragrance free - so it really is suitable for anyone! Available at Clinique counters across Canada and online at www.clinique.com.